LEAD JUDGMENT BY: BOLOUKUROMO MOSES UGO, J.C.A. This is an appeal against the decision of the High Court of Plateau State. This suit was commenced in the High Court of Plateau State way back on 30/4/1993 by respondent as plaintiff, against appellant as defendant, to challenge the validity of the sale by public auction of his (respondent’s) property known as and situate at Plot 16A/16B (also referred to as 160 Kontagora Road Dogon Dutse Layout, Jos) and covered by Certificate of Occupancy No. PL. 163. Appellant conducted, or claimed to have conducted, the said public auction through one Dr. Yakubu Fobur of Fobur & Associates on 13/5/1993. Appellant in turn counterclaimed against respondent. 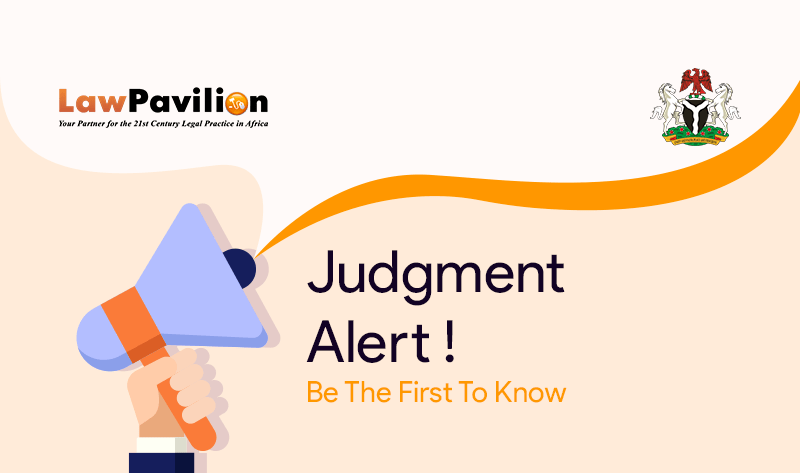 The relevant facts of the case are that the respondent applied for and received a loan of N133,000.00 from appellant on 16/9/1988, for which a Loan Agreement (Exhibit 3) as well as a Deed of Mortgage Agreement (Exhibit 4) was executed by him in favour of appellant over his said property situate and known as Plot 16A/16B (also referred to as 160 Kontagora Road) Dogon Dutse Lay-out, Jos, Plateau State. Somehow, respondent defaulted in liquidating the said loan within the two years stipulated in their agreement, so appellant sought to exercise its right of sale of his property by public auction and appointed P.W.3, Dr. Fobur’s company, Yakubu Fobur and Associates, to conduct it. In preparation for the said auction fixed for 29/03/1993, appellant placed a Newspaper advertisement in the Friday 26th March, 1993 edition of the Nigeria Standard Newspaper (Exhibit Z1), but somehow, the said proposed public auction of 29/3/1993, it is common ground, was suspended upon respondent’s overture to appellant to give him more time to settle his indebtedness. The public auction was thus rescheduled for 13th May, 1993. There was no evidence before the trial Court that appellant complied with Section 19 of Auctioneers Law, Cap. 10 of Northern Nigeria in respect of this rescheduled public auction of 13/05/1993 with respect to appropriate notice. In its judgment, the trial Court, after giving due attention to this provision and the evidence led by both parties, held that there was ‘non-compliance with Section 19 above; that no sale took place let alone sale to the highest bidder; that the purported sale of the property was an invalid exercise since there was nothing before the Court that seven days Notice of the public auction as per Section 19 was complied with in respect of the purported public auction of 13/5/1993; that appellant’s claimed sale of respondent’s property to one Mr. Ubanama and later to Babatunde Olufemi could at best be described as a ‘Private Treaty’ which was not contemplated by the parties; that since the auction was unlawful, it is invalid. It held that respondent had proved his claims against appellant, and concluded its judgment by awarding respondent what it called ‘nominal damages’ of N200,000.00. Appellant was dissatisfied with that judgment hence he filed an appeal in the Court of Appeal. Whether from the pleadings filed and exchanged, the learned trial judge was right in setting aside the sale of respondent’s mortgaged property and in holding that the Public auction of respondent’s mortgaged property was illegal, fraudulent, unlawful, invalid, null and void for being attempt to sell by private treaty or contract and for non-compliance with Section 19 of the Auctioneers Law and on the basis of the authority of Fojule v. Federal Mortgage Bank of Nigeria (2001) 2 NWLR (PT. 697) 348 @ 393. Whether upon proper evaluation of evidence led vis-à-vis the requisite burden of proof, the respondent proved his claim so as to justify the finding and holding of the learned trial judge that there was no public Auction of Respondent’s Mortgaged property on 13/5/1993, that an equitable mortgage was created by the parties and thereupon awarded the sum of N200, 000.00 as minimal damages. Whether from the circumstances of this case the appellant was denied fair hearing vis-à-vis Section 36(1) of the Constitution of the Federal of Nigeria 1999 (as amended) given the inexplicable failure of the learned trial judge to consider and resolve the counterclaim of the appellant. In the final analysis, the Court of Appeal held that the appeal succeeded partly. The judgment of the trial Court was affirmed, except for the damages of N200,000.00 it awarded respondent which was set aside.